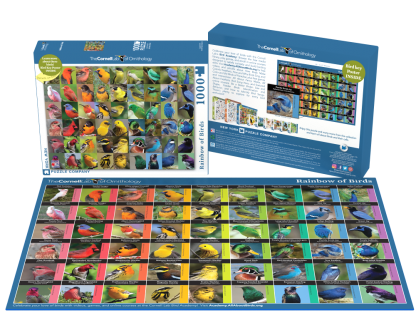 WHAT BIRD ARE YOU MOST LIKE? 2018 Interactive Bird a Day Desk Calendars! 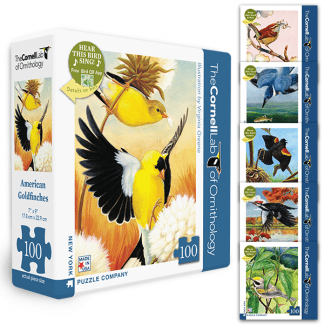 These puzzles are sure to brighten your day and delight any birder. 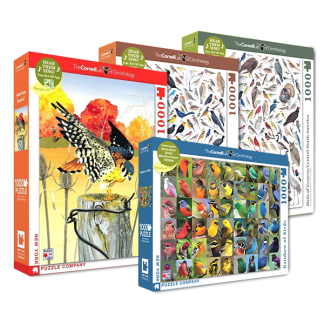 Our 1,000 piece regional puzzles feature fine watercolor illustrations by Pedro Fernandes and include a bird ID poster with QR links for bird sounds. The Rainbow of Birds is an amazing and colorful representation of the diversity found in nature and also comes with a bird ID poster. Roughly the size and shape of a Mourning Dove, North America’s littlest falcon packs a predator’s fierce intensity into its small body. It’s one of the most colorful of all raptors; the male’s slate blue head contrasts elegantly with a rusty-red back and tail. 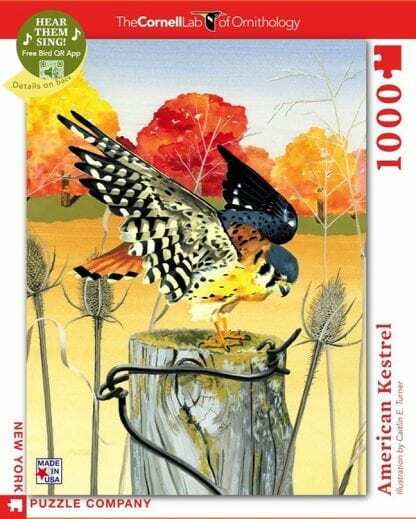 Hunting for insects, small rodents, and birds in open territory, kestrels perch on wires or poles, or hover facing into the wind, flapping and adjusting their long tails to stay in place. 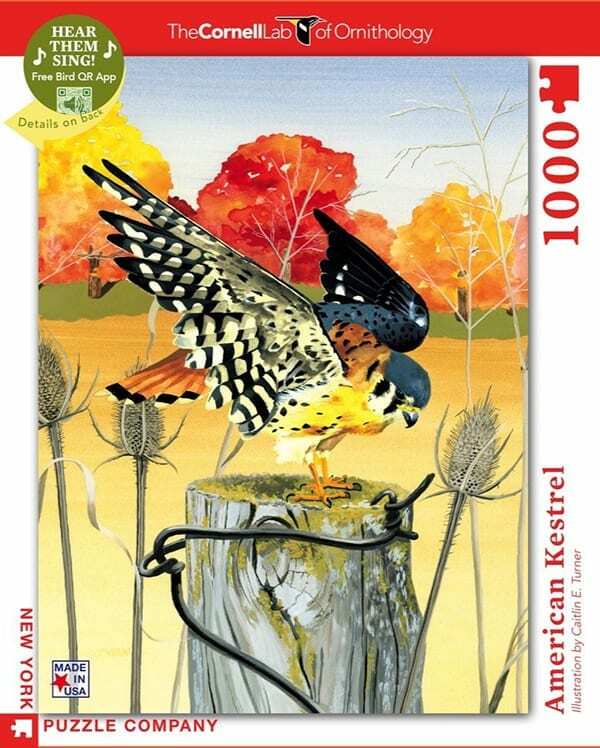 Kestrels are declining in parts of their range, but you can help them by putting up nest boxes. 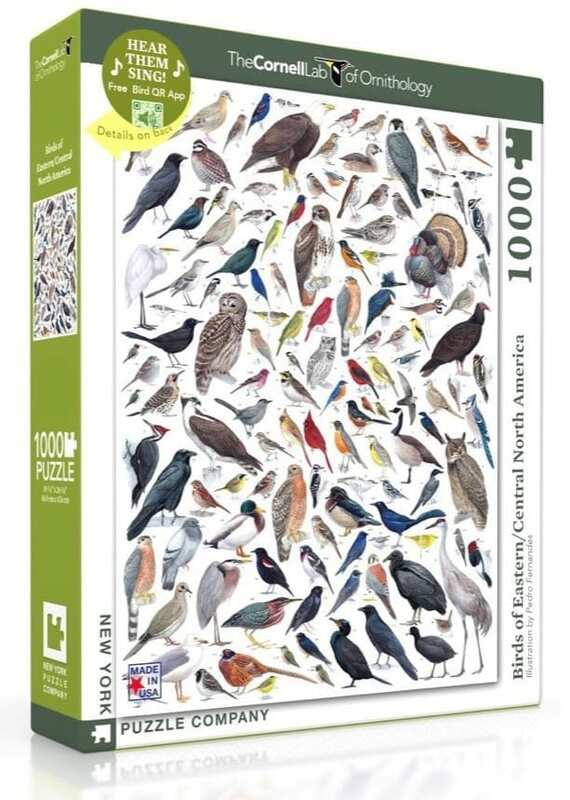 Explore 120 of the most common birds of Eastern and Central North America. 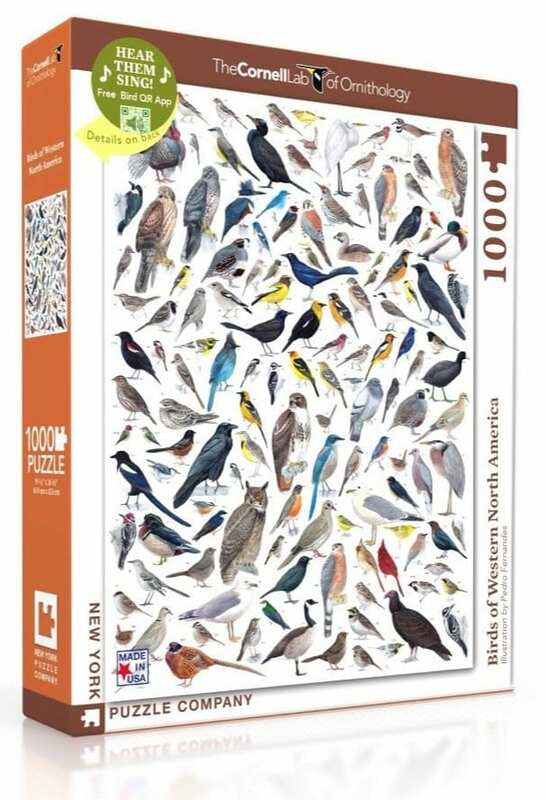 This puzzle has them all from the majestic Bald Eagle to the elegant Sandhill Crane. 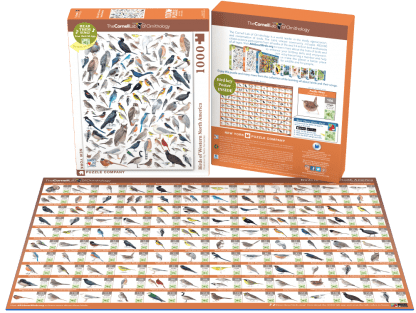 Learn more about these birds with a poster sized bird key inside that has a QR code links to all the birds songs, as well as their dimensions and Latin names. 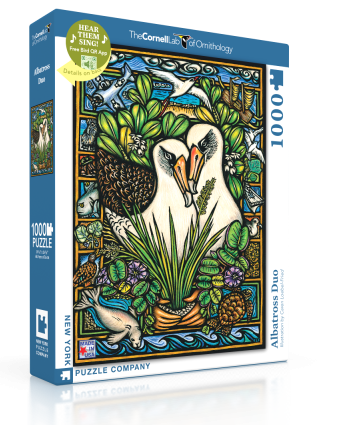 This puzzle is a perfect way to explore the bird life that surrounds you. Explore 120 of the most common birds of Western North America. 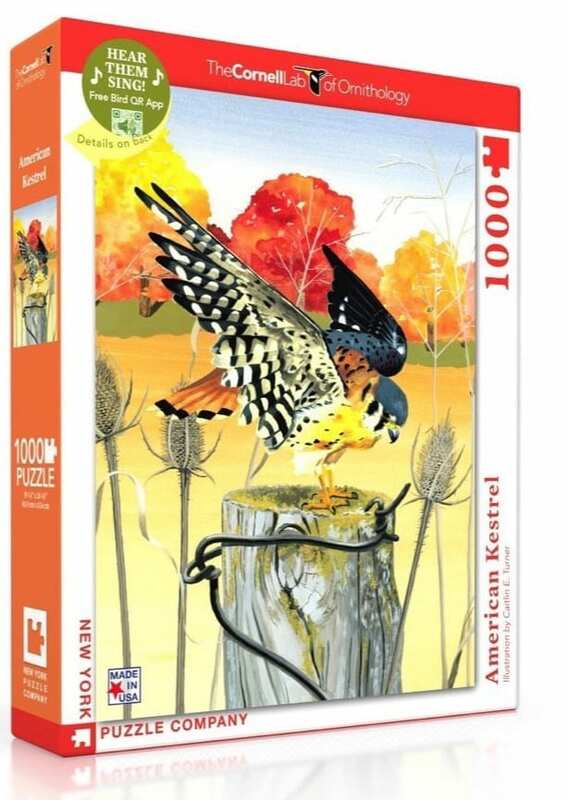 This puzzle has them all from the Belted Kingfisher to the Turkey Vulture. Learn more about these birds with a poster sized bird key inside that has a QR code links to all the birds songs, as well as their dimensions and Latin names. 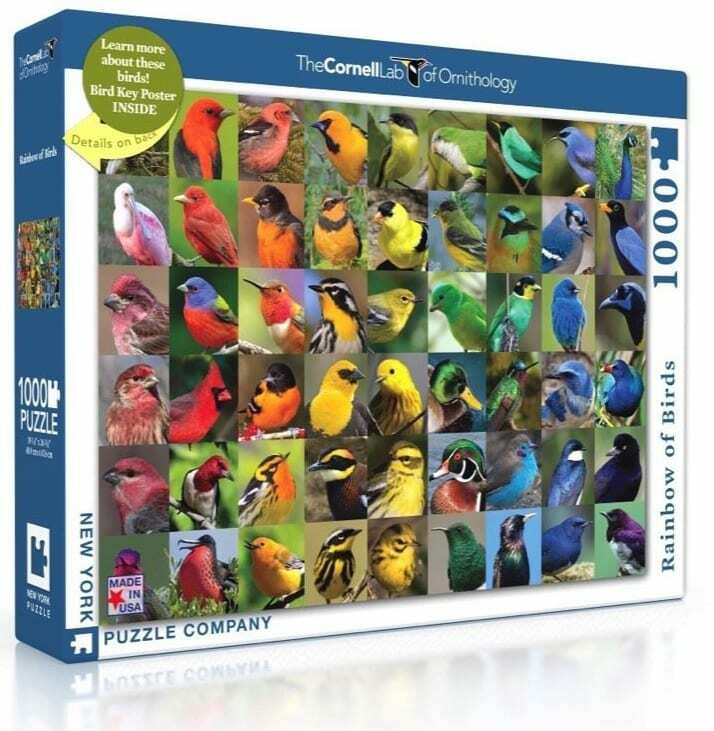 This puzzle is a perfect way to explore the bird life that surrounds you. 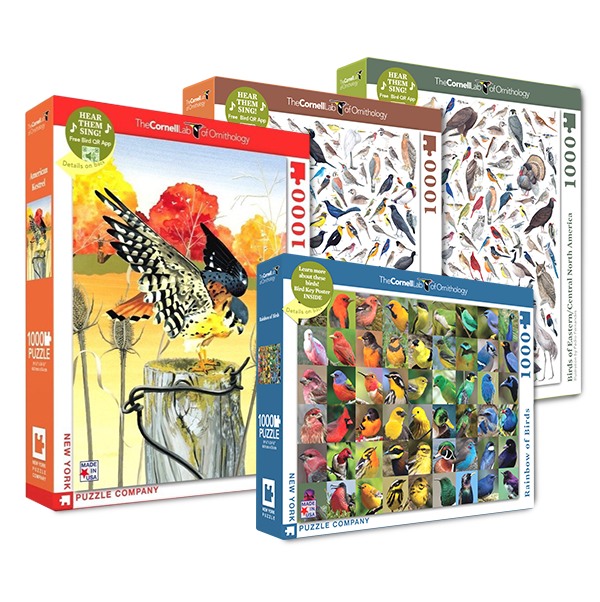 A rainbow of birds from all over the world is at your fingertips. This colorful ornithological collection is accompanied by a poster sized bird key which gives you the bird’s common name and Latin name. This puzzle is not only educational but a beautifully decorative framable piece. NEW! 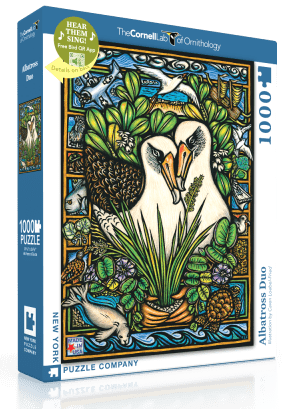 from the Cornell Lab of Ornithology, this beautiful puzzle of two albatrosses from the award-winning illustrator of the Cornell Lab Publishing Group’s children book A PERFECT DAY FOR AN ALBATROSS, Caren Loebel-Fried. 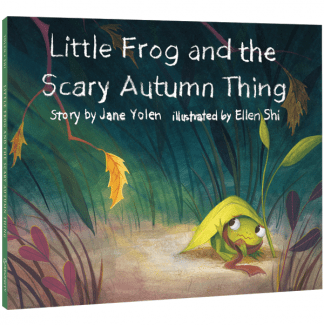 Copyright © 2019, WunderMill, Inc. All rights reserved.